The Bavarian royal family, the House of Wittelsbach, ruled for 738 years, but were kings of Bavaria for only the last 112 years of that time. Their rule ended with the German Revolution of 1918-1919 in the immediate aftermath of World War I which saw the collapse all of the German monarchies. The last King of Bavaria, Ludwig III, was forced to flee to Austria on November 7, 1918 to escape the revolution. On November 12, Ludwig issued the Anif declaration (Anifer Erklärung) from Anif Palace where he was residing in exile and, although Ludwig did not abdicate with the declaration, the new republican government in Bavaria led by Kurt Eisner interpreted it as such and declared the King and his family deposed. Unlike with most other German monarchies, the new republican government decided to treat the royal family’s property and wealth as a civil issue rather than as part of the revolution. The result was the Wittelsbacher Ausgleichfond — an agreement formed by Ludwig III’s son, Crown Prince Rupprecht, with the Bavarian government in 1923, which made public the most important palaces such as Neuschwanstein, Berchtesgaden and Hohenschwangau while allowing the family to keep other valuable assets such as their extensive art collection. After Ludwig III’s death, Rupprecht worked tirelessly to restore the Bavarian monarchy. He never renounced his rights to the throne and staked his claim on the fact that his father had never officially abdicated. 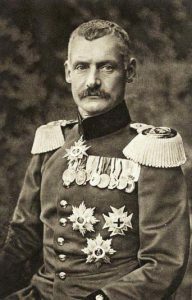 As the Nazis rose to prominence in the 1920s under Hitler, Rupprecht kept his distance. Hitler tried to convince him to join their cause by promising the restoration of the monarchy, but, as he later stated, he considered Hitler to be insane. The Crown Prince and his family were forced into exile in December 1939. Rupprecht fled to Italy while his wife, Princess Antonia of Luxembourg, escaped to Hungary with their children. During the Nazi occupation of Hungary, the Princess and their children were captured and first sent to the Sachsenhausen concentration camp, then moved to the Dachau concentration camp in April 1945 where they were liberated with the rest of the camp by the United States Army. Until his death in 1955, Rupprecht continued to advocate for the restoration of the monarchy. He was not alone in his endeavors even if they proved to be fruitless. In September 1954, 70 of the 170 members of the Bavarian parliament declared themselves to be monarchists. Upon his death on August 2, 1955, the Crown Prince was given a state funeral in accordance with the old customs of the monarchy. Rupprecht’s son, Albrecht, took over the duties as head of the House of Wittelsbach, but, unlike his father, he never seriously attempted to restore the monarchy in Bavaria. Instead he chose to live a relatively reclusive life in the country near Munich. Upon his death on July 8, 1996, he was succeeded by his son, Franz, as head of the house. The Kingdom of Bavaria and its monarchs are often viewed today with a sense of nostalgia. Visitors from all over the world flock to Bavarian royal palaces and castles such as Neuschwanstein, Nymphenburg and Herrenchiemsee which have proven to be very lucrative tourist attractions. The myth and mystery surrounding Ludwig II is still very much alive and continues to have a strong presence in the Bavarian media even to this day. There can be no doubt that the Kingdom of Bavaria has left its mark on Bavarian culture despite only having existed for such a short period in Bavarian history. 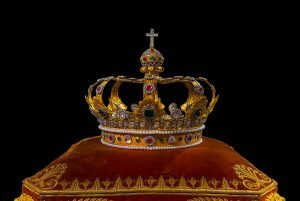 This post is part of a multi-part series about the kings of Bavaria. See the rest of the series either on the Kings of Bavaria project page or in the category of the same name. This entry was written by Alex Seifert, posted on March 9, 2018 at 10:25 pm, filed under 19th Century, 20th Century, Bavarian History, Featured, German History, Kings of Bavaria, Multi-Part Series, Royalty and Aristocracy and tagged Albrecht, Crown Prince, Franz, Hitler, Ludwig II, Ludwig III, Nazis, Rupprecht. Bookmark the permalink. Follow any comments here with the RSS feed for this post. Post a comment or leave a trackback: Trackback URL. It is hard to believe that an entire decade has elapsed since I published my first History Rhymes blog post entitled "Starting Out." A lot has changed in the past ten years and I have big plans for it for the future.